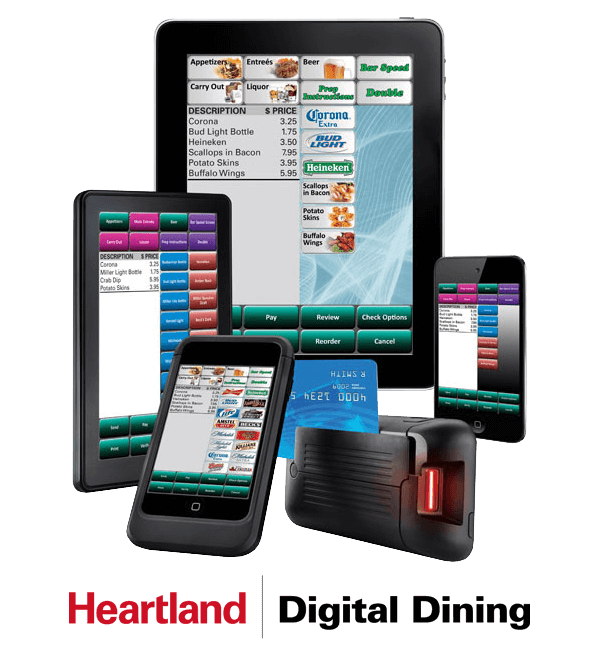 POS Innovation partners with Heartland Digital Dining to provide restaurant owners with a point of sale (POS) solution designed to grow your business. Built by restaurant owners, this solution empowers your employees so that you can spend more time managing operations. Digital Dining is an industry-leading solution that is fast, easy to learn, decreases common entry errors, and provides the tools your staff needs to get the job done more efficiently allowing more for them to focus on enhancing the customer experience. Whether you have one location or 100, Digital Dining is the scalable solution ideal for table service, quick service, fast causal, bars, hotel restaurants, and more. Our solution features streamlined workflows and centralized management and reporting accessible from anywhere with an internet connection. Digital Dining helps you operate more profitably and productively, and with the peace of mind that your POS is backed by 24/7/365 support. An Easy-to-Use Interface: Save time and money training staff quickly and with fewer errors. Centralized Business Visibility: Access and manage key business data anywhere, anytime, even from a mobile device from one centralized platform. Sophisticated Inventory Management: Streamline ordering processes, prevent out-of-stocks, and manage waste. Security: Keep your customer and business data secure with PA-DSS validated software and PCI-DSS compliant payment processing. Whether you are a hotel restaurant needing a flexible POS for room charges, a bar needing fast cash sale functionalities, or table service restaurant needing reservation and wait list management, Heartland Digital Dining has the customizable options to meet your unique business needs. Contact POS Innovation to see what Digital Dining can do for your business. POS Innovation, a Heartland Diamond Dealer, is proud to provide cutting-edge technology that gives our customers a competitive advantage in the marketplace. But we don’t stop there. We back the solutions we provide with skilled service and support. Our technical team, with an average tenure of more than five years, has in-depth understanding of their accounts, which helps keep them running smoothly and minimizes downtime if issues arise.